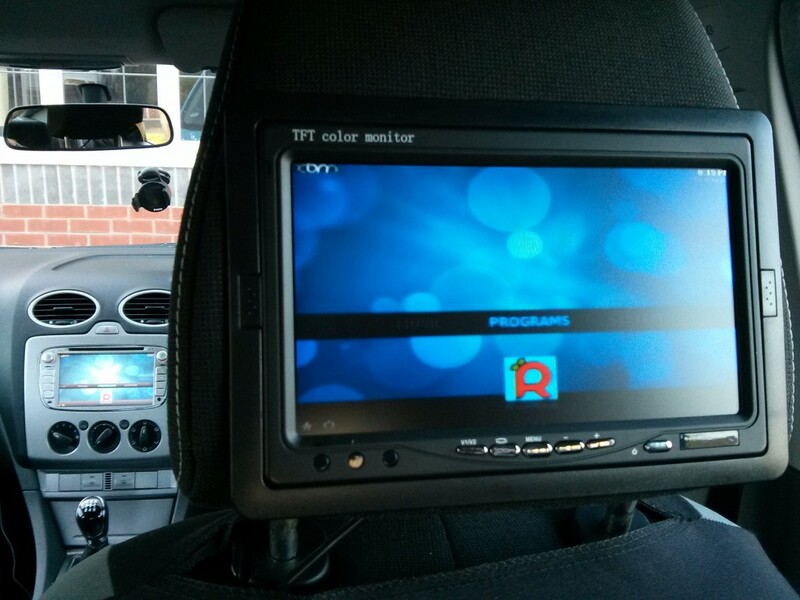 Use the inexpensive Raspberry Pi to make an on-the-go, wi-fi enabled media center in your vehicle. 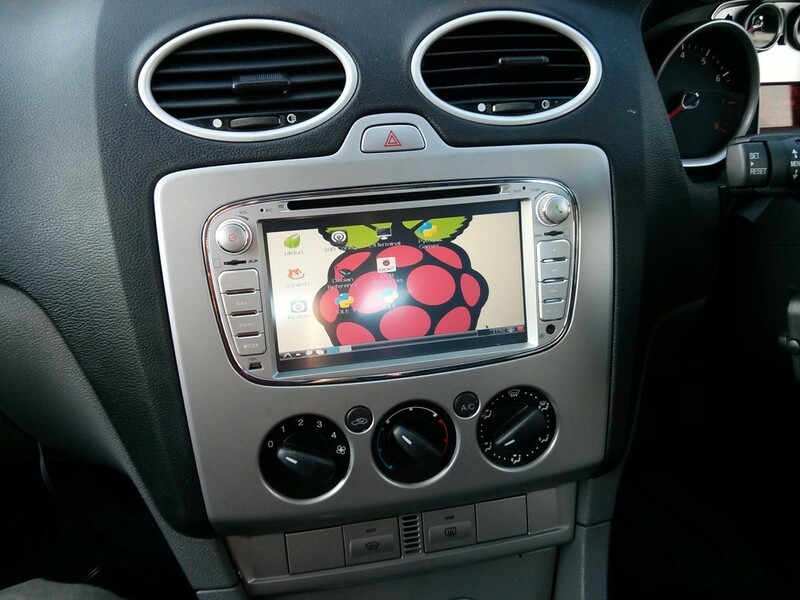 Raspberry Pi in my Ford Focus running Raspbian Wheezy. I have always loved those old TV series with futuristic tech in those futuristic vehicles, like Knight Rider, Airwolf, and Street Hawk. So it got me thinking about how easy it would be to add a computer to a vehicle. Now I know it’s been done before, and a quick Google search shows multiple companies making very complex vehicle computers, but at a large cost. Well, I thought, my Raspberry Pi is the perfect device for this. And best of all, you can change operating systems by simply switching out SD cards. Below is a photo of the Raspberry Pi running the excellent media center-type operating system Raspbmc which is perfect for browsing and playing your media collection using a media center remote or something similar, as shown in the Parts list. 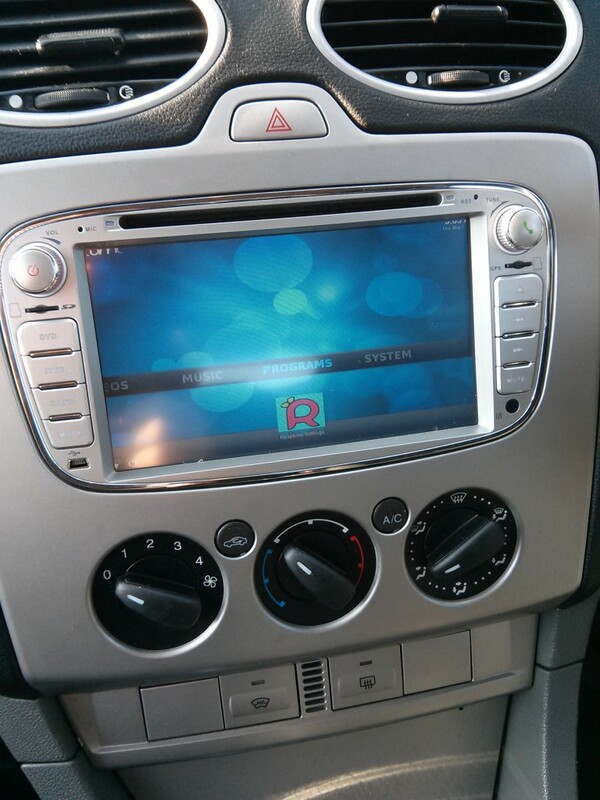 Raspbmc running on a Raspberry Pi in the car. My project can also be found on the Raspberry Pi main blog at http://www.raspberrypi.org/archives/4062. Here’s how I made it. Derek Knaggs submitted this project for our Raspberry Pi project contest. Car DVD player I used an Xtrons model. 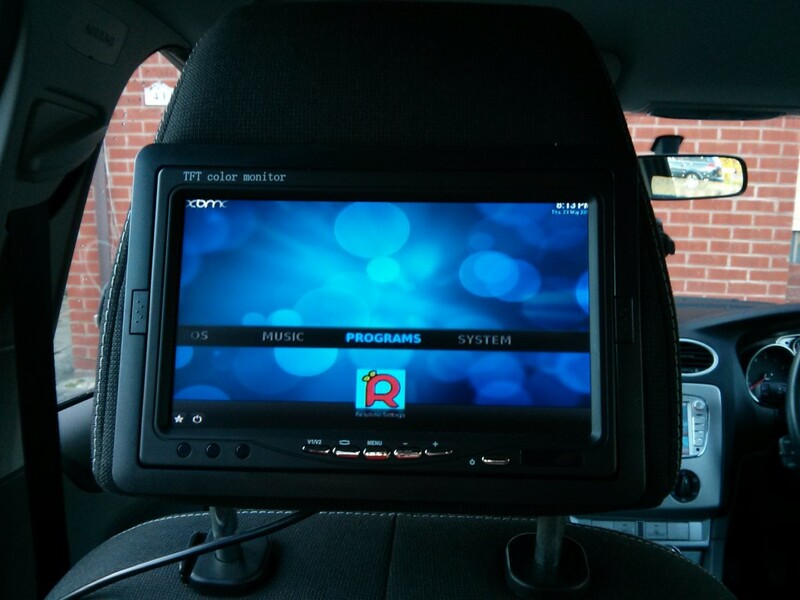 I had an Xtron car DVD player for the Ford already fitted (DVD/radio units can be found at xtrons.co.uk for a number of car manufacturers). However you don’t actually need one of these if you can place a TFT screen elsewhere. I found this 7" TFT panel on eBay for about £23 at the SainSpeed store. It can be placed in a headrest or on the dash somewhere as it comes with a stand. Both of these display devices have a composite RCA video input. For audio, I have a basic 3.5mm audio cable from the Raspberry Pi to the auxiliary port of the radio. So all audio is played via the car speakers which sounds really good and clear. I placed the Raspberry Pi in the centre console as shown here, and routed all cables under the console so no cables are lying around. For input, I used the brilliant little Xenta Wireless Keyboard with mouse touchpad built-in. This works perfectly with both Raspbian and Raspbmc. It even has an on/off button on the back to save batteries when not in use (it takes 2xAA batteries). With the wi-fi dongle, this setup can now connect to any wireless network. Finally, I placed two headrest monitors for the back seat passengers. I am Zimbabwean living in the U.K, self employed running http://www.flamelily.co.uk and studying BSc in IT and computing. I am a Rasberry Pi enthusiast and love sport.